The Calais War Museum is located in a German War II naval bunker in the Park Saint Pierre opposite the Town Hall in Calais. The museum has a nice collection of World War II uniforms, weapons and military equipment. 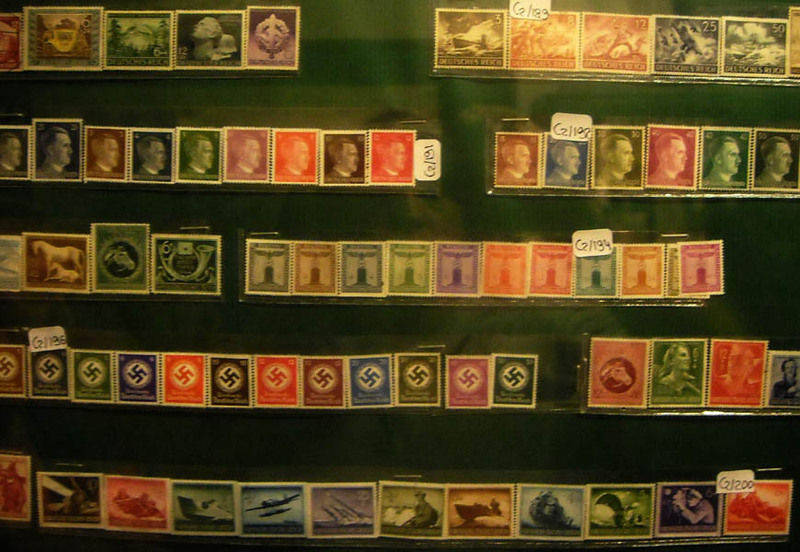 The museum also display a lot of World War II pictures, documents and stamps. 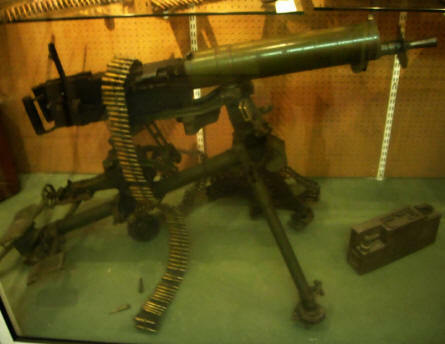 One of the World War II machine guns displayed at the Calais War Museum. 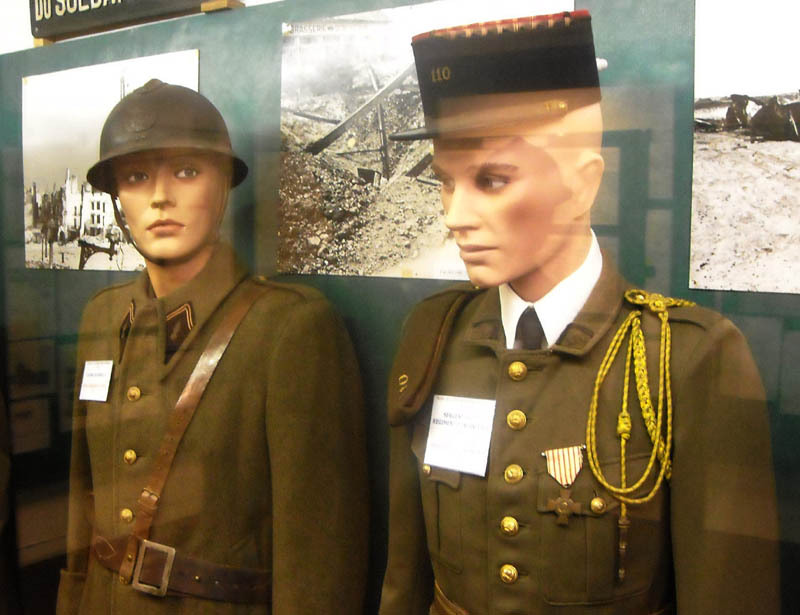 French World War II uniforms displayed at the Calais War Museum. 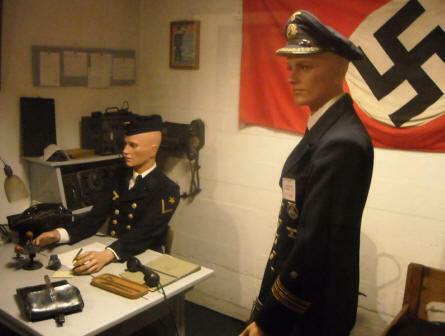 German World War II uniforms and office environment displayed at the Calais War Museum. 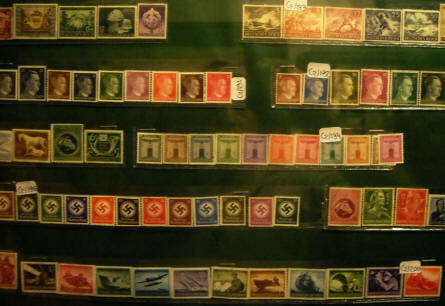 German stamps from the Nazi period displayed at the Calais War Museum. 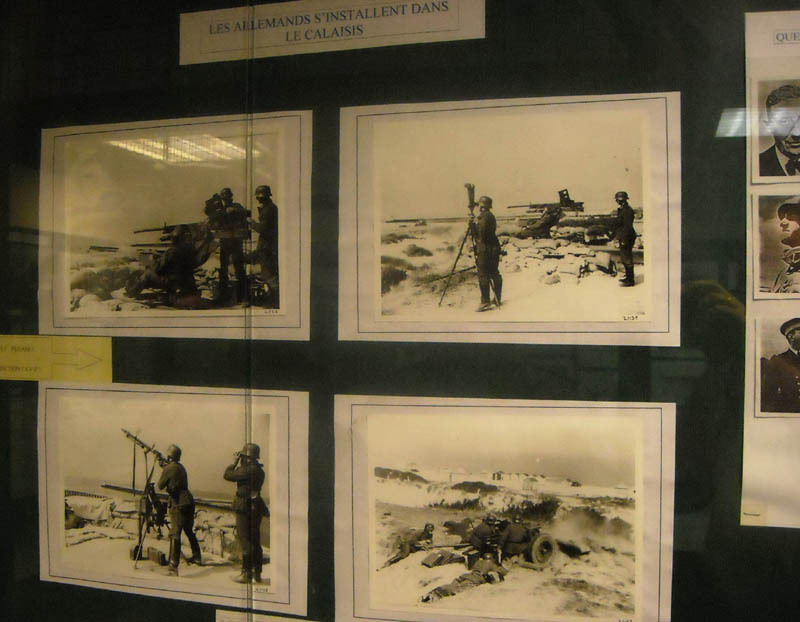 Some of the many World War II pictures displayed at the Calais War Museum. 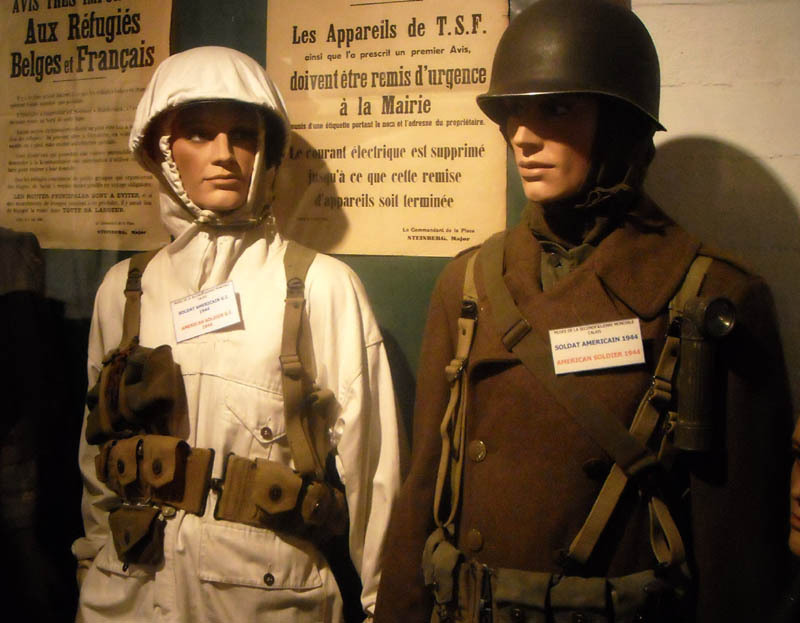 US World War II uniforms displayed at the Calais War Museum.